We are proud to announce the "GT" line of gauge faces. you can order them now, check out https://usdashworks.com/product/style-gt/ to check them out and place your order. 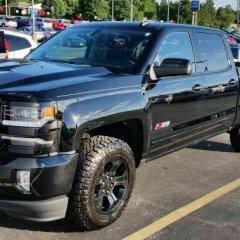 Dealership says factory remote start can’t be added to a 2015 Silverado w/t and I have to go aftermarket. What should I do because they offered to install it but can’t they say. Hey folks, This is my video of MODEST upgrades for the L86. I'm new to posting as well as video blogging so I apologize for the quality and such. I'd like to start making some videos on HOW TO's for this particular engine. I've done almost everything to this thing in my driveway. so to the weekend/garage warriors who want more let me know what you want to see and I will build a video and post it. Bolt on's or porting, oil changes w/e let me know. Lomax review I recived the cover in about a week. Which is good time considering it had to go through customs to get to canada. First impression was that the box seemed light for a metal cover. The cover was well packed and secured inside the box. Installing the cover was straight forward and easy. It took about 15 mins to install. The cover locks on the rails good and has two safety straps just in case. The cover is easy to unlock and fold as it is lightweight and durable. The top of the cover is smooth so it could be wrapped to any colour you would like. The cover sits about as flush to the bed rails as possible. It has a very sleek and clean look which makes the cover stand out. The cover has been on my truck for about 3 days now and we have had a ton of rain. The cover has kept all the rain out of the bed of my truck. It keeps anything in the bed locked away and give you piece of mind it won’t be stolen. This cover still gives you full access to the bed of your truck. If you need to load bigger items such as an Atv. The cover removes very easy by one person. This cover gives the truck a very sleek design like no other cover I’ve ever seen. It is the perfect combination between being durable and lightweight. It is durable enough that you can set things onto the cover with no worry at all. I was always watching things like drinks when I set them on my old cover because it was a soft fold and really could only set things on the support bars. Now with the lomax cover it’s pretty well like a table on the back of the truck. It is super easy to fold. The cover locks can be pulled with one hand and they unlock on each side at the same time. Saves from having to go to each side and unlocking separately. I would highly recommend this cover to everyone. It is the perfect cover. The lomax cover gets a 10/10. I want to thank the people at agri-covers for giving me this opportunity to review the lomax cover. They knocked it out of the ball park with this cover. Go over and check out their site and get a cover of your own. You won’t regret it at all. Last picture is of my truck with the old cover. My 1999 Chevy Silverado 1500 4x4 lost all oil pressure, and then a little later engine shut off. Did not make any loud noises, It just died. When we went to restart it, we could here the starter engage, but the engine wouldn't turn over. So we had it towed, and the guy at the tow shop put a wrench on it and tried to turn it, but was unable to. We have done no further troubleshooting, this happened on January 1, 2018. We assumed it is seized. What I am wondering is what you guys think, is it likely that it seized or is something else more likely to be the problem? If it is seized what part would have seized up? And would it be better to rebuild the engine, or to put a new engine in it? The truck has about 200k miles on it, and ran perfectly before this happened. It is the new body style, btw. Hi All, About 6 months ago we created a youtube video showing how to remove your front seats and center. That video has received over 7K views and we received many requests for a detailed video guide of how to swap to the center console found in the LTZ models into the trucks with the 40-20-40 bench seats. The parts cost between $600-$750 depending on the source. This is not an upgrade I particularly want in my truck but I have setup a go-fund-me me page (click here). If we can raise enough money, Pete and I will shoot a detailed guide for everyone's benefit. I hope we can get this video created for you! Zane Merva & John Goreham GM-Trucks.com 10/16/2015 The time has finally arrived. You are just weeks away from being able to buy General Motor’s 2.8L Duramax Diesel in the midsize Colorado and Canyon. Two GM-Trucks.com staffers recently had a chance to take a 2016 GMC Canyon with this engine for a spin and here’s what we thought. Zane: The 2.8L Duramax is an engine that will extend the capability of the Colorado and Canyon to within a stone's throw of the full-size Silverado and Sierra. From the moment you turn the key, there’s no mistaking this as a diesel engine. Noticeably louder than GM’s other gas engine offerings, owners will probably enjoy that their pickup sounds remarkably similar to the bigger 6.6L Duramax V8. In our short drive time we were impressed by the massive amounts of low end torque for a vehicle of this size. 369 lb-ft of torque at only 2,000 rpm goes a long way. However, with only 181-horsepower, the Canyon 4x4 crew cab we drove didn’t feel as quick as its 3.6L gas-powered counterpart. Point the nose of the GMC up a steep hill and the Duramax diesel’s benefits are immediately apparent. Nothing is going to stop this truck once it gets moving and you feel like the hand of God has your back. Acceleration is smooth and linear through the entire engine range. That’s the experience diesel truck buyers want and GM has given it to them. Bolder, louder and purposeful in nature. Oh and did we mention fuel economy? Prepare to be impressed. We saw over 30 mpg on our drive loop. GM executive Mark Reuss confirmed to us that the final EPA number should be very close to our results. That would place the Colorado and Canyon has the most fuel efficient trucks you could buy. No wonder GM is exploring options to increase the number of Colorado and Canyon it can build. John: What struck me first was the great look of the Canyon. Particularly from the front ¾ view. I had just left off-road testing in a 2016 Tacoma and in terms of looks, the Canyon wins hands-down. My tester was a $45,280 SLT Crew Cab with 4WD. Trucks are expensive now, but this one had it all. Premium Bose audio and Nav ($500), Spray in bedliner ($475) and Chrome assist steps ($725). I was impressed that the Canyon had Lane Departure Warning and Forward Collision Alert at no extra charge. That will cost you $500 on a Tacoma. The biggest single adder was the $3,730 Duramax engine. Although that buys a lot of gasoline, the Duramax has benefits beyond fuel economy to its fans. Hills surrounded the venue we were attending, and they were steep. Like Zane, I was immediately impressed by how strong the Canyon I drove felt. I too noted the fuel economy. Over the past 50 miles that it had been driven in rural NY the vehicle had averaged 22.2 MPG and its peak had been 34.5 MPG (according to the truck). Writers at this event were passing up track time in a Corvette to drive the Canyon on-road. It was one of the most popular vehicles at the event. The new Canyon and Colorado Duramax will not disappoint. GM is proud of this new truck, and as Zane’s interview with Mark Reuss proves, GM is looking hard for places to build more. The Canyon Duramax looks, drives, and acts like a winner. Totally off-topic here, but maybe some of you or your children may enjoy this. Here goes: I never had the privilege or honor to participate in a pinewood derby as a kid. I just wasn't in scouts. Fast forward to adulthood, I work for an engineering company with a bunch of other nerds. Someone had the idea of holding our own derby and there was a lot of interest. So I built a car the last two years, learning about all the little tricks on youtube to make a fast car. I came in 3rd of 20 entries this past year. Now this year, instead of (in addition to) speed, I want to focus on my car design. so I decided to make a replica of my 1998 K1500. (I plan to even make a detachable plow): Step 1 was to get some dimensions of the truck, scale it down to the wood block and make a sketch: Then I took a standard pinewood derby block and some 1/4" basswood to add some extra body to the sides and top for a cab. I also cut out the bed, a tailgate and some wheel wells. Now I have the rough shape assembled, here's what it looks like so far: The next steps would be to do some additional shaping to get the curvature of the sides and cab. I need to decide if i want to cut the bumpers out of the wood block, or glue something else on. If anyone has any bright ideas of how to get a realistic looking grill, decals, bumpers, etc, I'd love to hear it. I will update with more photos once I make more progress. This is kind of a side project that I started early this year, so I can enjoy working in the garage in the summer instead of February when our race is held. Also if any of you have any cool pinewood derby cars you or your kids made, feel free to share! I love getting ideas anywhere i can. Have a good day. All, I’m posting on behalf of BBDO, an advertising agency, which supports ExxonMobil. Our agency is shooting a video that will feature one truck owner, and we think the right person might be here on GM-Trucks! Our video will profile the truck owner, highlighting the importance of their truck and the motor oil that protects it. This person will NOT get compensated for their time. However, they will receive an all-expenses-paid trip to the ExxonMobil Research and Engineering Technical Center in Paulsboro, New Jersey. After arriving at the facility, the truck owner will get a behind-the-scenes look at the product development of Mobil motor oils. It’s definitely a once-in-a-lifetime experience! Ideally, we’re looking for a truck owner that: Uses conventional motor oil Does not use Mobil 1 Changes their own oil/performs maintenance on their truck Uses their truck to tow for recreation Has no relation to ExxonMobil or BBDO Do you fit the above criteria? Do you know of anybody who fits the above criteria (another forum member, friends/family, etc.)? Please respond with requests to learn more about this opportunity. Thanks for your help! Note: I have been in contact with site moderators/administrators prior to making this post. A while back we sold my old sierra to get an SUV to haul the kids around in. Having a pickup is something you miss though, so recently I was looking for a fun truck to drive around and take surfing, haul household trash, etc. I ended up getting my hands on a 1968 C20 longbed that someone gave a once-over to. The important stuff: 454 v8 with a three speed th400 auto transmission. The guy had dual purple hornies coming out right under the doors, SUPER loud and didn't smell great while driving it. I already took those off, put a flowmaster in and ran dual pipes out the sides behind the rear tires. My question is, what now? I had a mechanic look at it and there are minor issues. I'm going to go through it and replace every wet seal, gasket, and belt but beyond that there are a couple leaks, from the valve covers and it sounds like a leak from the carb. It's got an old Rochester carb on it, I'm thinking buy a new Holley 750 and be done with it. I'm also going to add a factory looking tach, new instrument panel bezel, and generally tighten things up. What else should I do? It's loud and first gear has plenty of torque, but it's not fast. One reason I want the tach is I had it on the freeway and felt like I was nuzzling the redline at 60mph. Is there an easy way to improve the top end? The bed is a layer of spray painted plywood screwed into the original wooden bed. I'd love to redo that, but the kits are pretty expensive and it looks like a lot of 50 year old bolts that would need to be blowtorched. Is it possible to shore up the original bed and spray it with a rhino liner or something? Any other ideas? Classic Trucks: Overpriced Or Worth Every Penny? John Goreham Contributing Writer, GM-Trucks.com 7-27-2017 On the day that the Ford Pickup turns 100 we thought we would ask our members if they think classic trucks are worth their current valuations. Good condition early 1970s Chevy pickup trucks now sell for the same price as a new Chevy pickup truck. Late 1940s and early 1950s pickups sell for even more. Classic vehicle collectors are turning to trucks in increasing numbers. Black Book recently analyzed the value of a selection of classic trucks based on their auction sale prices and the results are very interesting. “We love our trucks today because of the versatility, functionality, and even technological features included in many of today’s popular models,” said Eric Lawrence, Director of Specialty Products at Black Book. “These trucks of yesteryear were pioneers of their time when trucks had a different meaning on the roads but still offer the right amount of nostalgia that makes them extremely valuable today.” Are these valuations just a bubble, or will classic trucks soon be reaching the six-figures like so many classic cars?